​You'll be encouraged and blessed by this wonderful story of God's grace and help in troubled times. No ticket needed. we encourage you to arrive about 20 minutes before the curtains rise. Corrie ten Boom was one of the Christian faith's true 20th Century heroes. Her experiences during World War Two saving Jews from the Nazis and her own imprisonment in concentration camps moulded her into a woman of faith whose ministry touched the entire world. 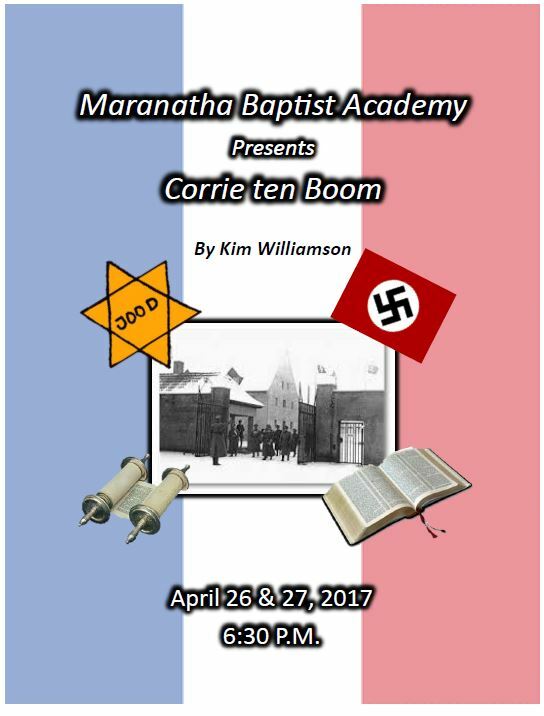 Historically accurate and profoundly moving, this play celebrates Corrie ten Boom's life and challenges each of us to our own higher calling. About the Playwright: Kim Williamson is an experienced actor, director and writer. She is Director of Detour Community Theatre and has had a number of her original works produced including a number that are available here at Christian Plays.